If you haven’t figured it out by now, I’m fascinated with not only music, but how the music industry is exponentially evolving in the digital age. 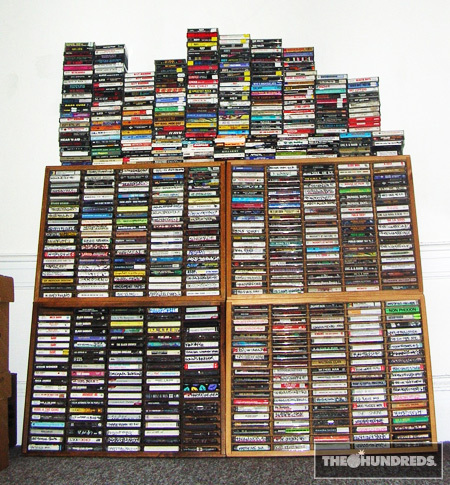 I grew up on cassettes (like my friend Travis, whose collection is featured above) and mixtapes that were actual mixtapes, while the older folk would mourn the 8-track and vinyl records. CDs and MiniDiscs were next up to bat, and we all know who struck out there. But now? I’m sure you’ve noticed your local Best Buy gutted down the middle where scores of CD racks used to be (my local store says they’re gonna sell guitars to make up for the negative space. Strange). And if you’ve even considered buying a CD over the last couple years, you probably couldn’t find it if you tried, so you downloaded it, or if you had a conscience, bought it off iTunes. 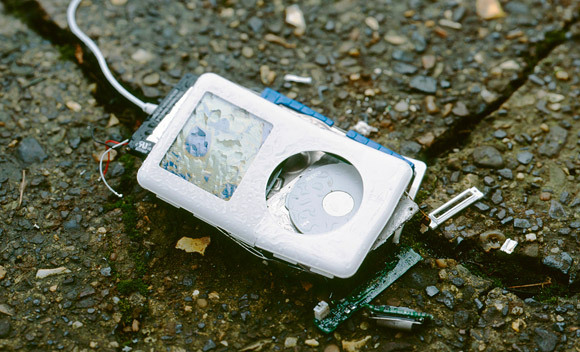 A really interesting article came out this week on Portfolio.com, detailing the fall of the iPod mentality and the rise of “the cloud,” music that is always available in cyberspace and, quite literally, frees you from having to download anything, ever. No more of this stocking up on a library of iTunes that you’re fast running out of space for on your computer/iPod anyways. I remember reading about this about a half-year ago, that the music industry was finally (finally!) giving up the notion that they could actually sustain themselves off of record sales, and were joining the enemy… Allowing free access to all music as long as you, the listener, was willing to deal with a gaggle of advertisements. You up for the trade? I know that for myself, it’s already happened by way of the aforementioned Pandora. In the past 3 weeks, I haven’t opened my iTunes once during a workday. And if I had an iPhone, I’d sync Pandora to my car. Free music, all the time, wherever you go.